Bunnahabhain are well known for producing an unpeated spirit on the extremely peaty Isle of Islay. Nevertheless, the distillery still makes an excellent quality of peated whisky, with bottlings like this an illustration of that fact. Indeed, Mòine, straightforwardly, translates from Scots Gaelic as “peat”. This rich, luscious whisky serves up plenty of smoked pear and apple flavours, with some overripe banana, pineapple and vanilla notes, alongside a little toffee and dark chocolate. Bottled at 46.3% ABV, and without chill filtration or colouration, this ensures the spirit retains its intense flavour and full mouthfeel. 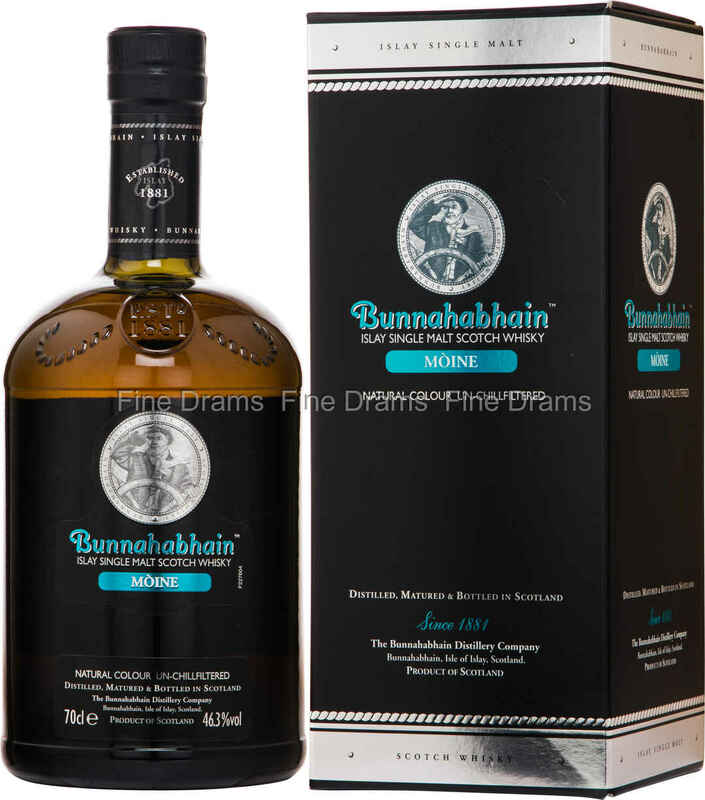 Evidence that Bunnahabhain are much more than a one-trick pony, this is a delightful peated dram that should not be overlooked.